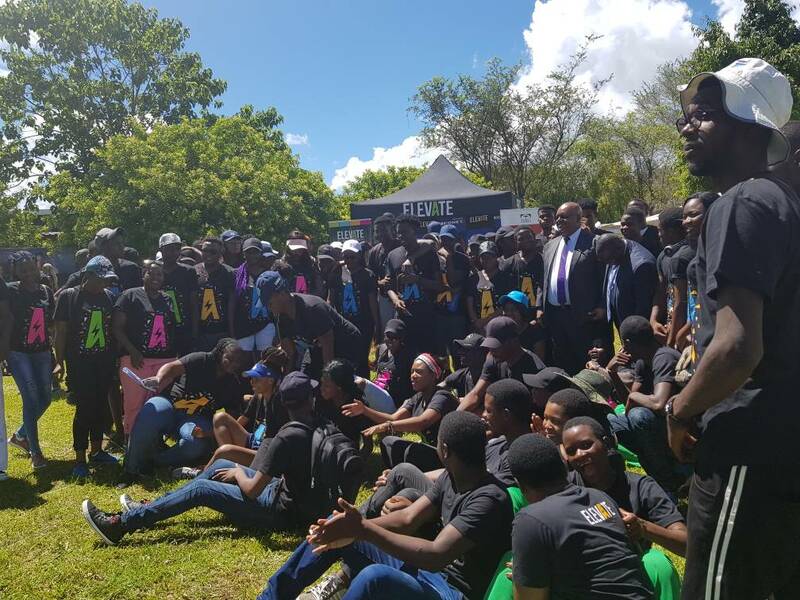 Econet’s youth empowerment programme, Elevate Club, this week partnered with Africa University to launch the Elevate Youth i5 Club at an eye-opening and activity-packed event on the university’s main campus, about 17 kilometers northwest of the city of Mutare in Manicaland. 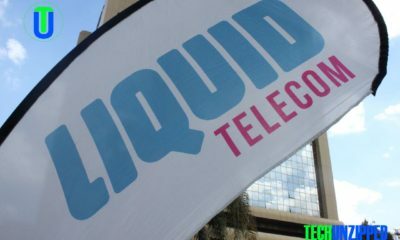 The launch event formally marked the coming of the Elevate youth programme to Zimbabwe’s most populous province through a collaboration between telecoms and tech giant Econet Wireless, and Africa University (AU), the pan-African institution of higher learning in the eastern highlands with over 35 African nations represented in its student body. Speaking at launch event, Econet Chief Operating Officer, Mr Fayaz King, thanked the University for having the wisdom to invest in the future by building excellent facilities to house the Elevate Youth i5 Club which, going forward, would serve as a satellite of the Elevate youth programme. “I am inspired by Africa University’s foresight in building the i5 Hub because I happen to believe that the time to invest in the future of our continent is now,” he said, commending the vision of the University’s leadership and adding that he was gratified by the fact that the Elevate Youth i5 Club would be led and driven by young people themselves. “The youth are the future, and a society grows wise when those who have gone before them plant trees under whose shades they know they will never sit” Mr King told the audience, which included hundreds of students from AU and from a number of learning institutions in and around Mutare, including, Marymount Teachers College, Mutare Polytechnic and Hartzell High School. “Today we are here planting trees, and the shade will be the innovations that you, the youth, will generate,” he said, explaining that Econet chose Africa University because of “the innovation, the talent and the ideas we convinced are already here”. Mr King said he believed innovation was everything. “You need to innovate and disrupt the current status-quo and find new ways of doing things” he said, challenging the students and young people to take charge of their future and be Africa’s next generation of trailblazers. Econet, the largest telecoms, media and technology company in Zimbabwe, launched Elevate Youth Club early last year to create youth empowerment opportunities by supporting young people with life skills and business mentorship, as well as to equip them with entrepreneurial skills. Speaking at the launch, the Vice Chancellor of Africa University and the host of the event, Professor Munashe Furusa, commended the partnership between the University and the Econet’s Elevate youth programme, saying it was founded on mutual interests between the two organizations. “Our partnership with Elevate and Econet is born out of a common interest in impacting and inspiring the future of Africa, which is the youth,” he said. “Africa University has taken the bold and conscious decision to become the hub of advanced technology and knowledge-generation within Africa and the region,” Prof Furusa said, whose institution has a rich Christian heritage and celebrated its 25th-anniversary last year. “And so, this partnership is inspired by our belief in the future and the renewed optimism and confidence sweeping across Africa,” he said, noting that higher education institutions in Zimbabwe had been challenged to contribute to the country’s development discourse and the realization of the continent’s economic evolution. The launch event was a day-long affair comprising serious and competitive pitches of innovative ideas and concepts – complete with a judges’ panel of industry experts making the youngsters sweat for up to $1,500 of prize money to be won for the best business concepts. But it was not all hard work, as the event was also punctuated by and blended with a celebratory and carnival atmosphere full of music, treasure hunts, fun, and games, along with a late afternoon braai. The University’s i5 Hub – now home of the Elevate Youth i5 Club on campus – was built the around the five pillars of idea generation, incubation, innovation, intellectual property, and industrialization. It was established in September last year in response to the needs of thousands of graduates and enterprising young Zimbabweans in need of the opportunity to bring their ideas to a place where they could be refined, incubated and transformed into implementable business initiatives. Manned by highly qualified staff and equipped with the latest technological support – including a 3D printer – the Hub will, now with the material support of Econet Elevate’s network of budding entrepreneurs, mentors and experts, be positioned to more effectively empower young people to address the country and continent’s pressing challenges now and in the future.